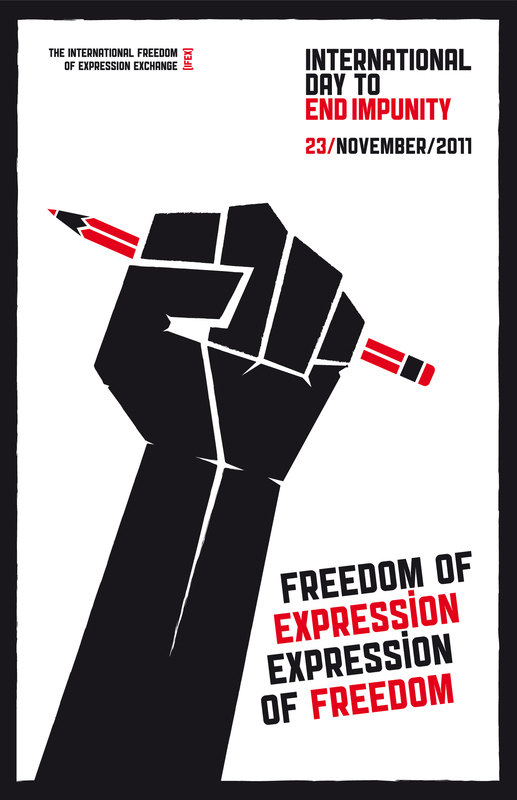 IFEX (International Freedom of Expression Exchange) is the global network for free expression. 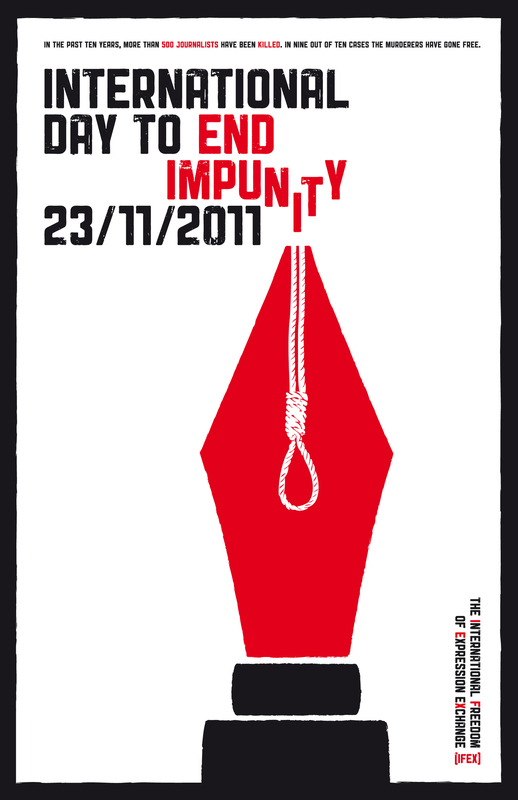 In the past 10 years more than 500 journalist have been killed. In 9 out of 10 cases the murderers have gone free. 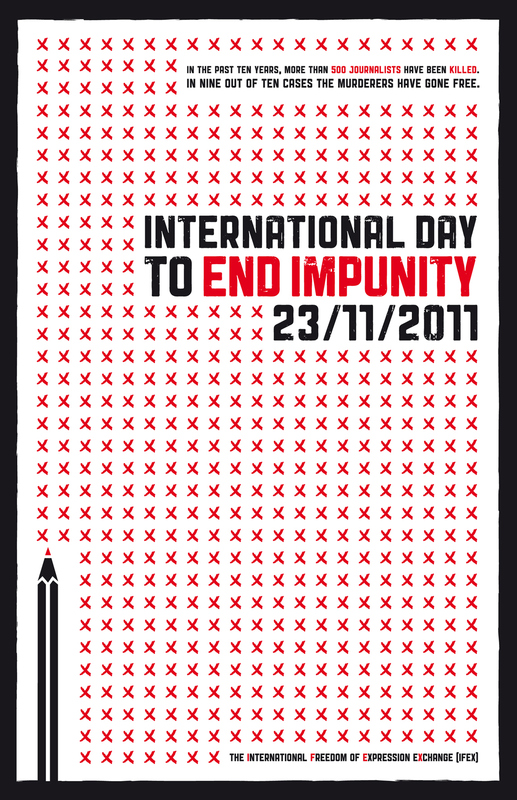 The poster competition is to raise awareness for the International day to end impunity on November 23rd, 2011. These are my 3 submissions as a series of posters.